The beautifully illustrated Belfast Maritime Trail highlights key Ulster-Scots people and 16 locations connected to Belfast’s rich maritime heritage. Interpretive signage and the folding trail map combine to take you on a unique historical journey through the city. New signage marks key maritime locations such as Sinclair Seaman’s Church, Queens Quay, Thompson’s Dock and Clarendon Dock. 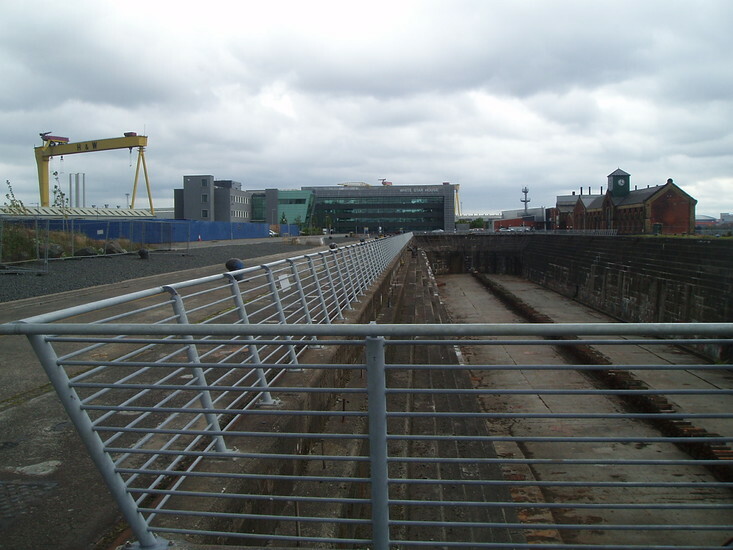 The project’s aim is to increase cultural awareness and extend the reach of Titanic Quarter and the Harbour into the city centre, North and East Belfast. 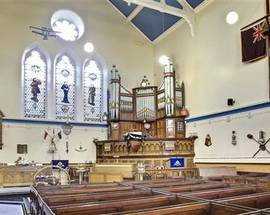 The beginnings of modern Belfast can be traced to the early 1600s when an urban settlement emerged around the River Farset which now flows beneath the city. Most of the inhabitants at this time were settlers from England and Scotland. Scottish merchants established Belfast as a commercial centre in the 1600s, and Scotsmen dominated the city’s shipbuilding industry. As Belfast became increasingly industrialised in the 19th century, its commercial links with Glasgow and the Clyde grew even stronger. By the end of the 1600s Belfast was Ulster's premier port and one of the largest in Ireland. The citygrew steadily in the 1700s, and expanded at a phenomenal rate in the 1800s. By 1911 it was the largest city in Ireland, with a population of 385,000. Early 20th century industrialisation saw Belfast become the world’s most important producer of linen, with more than 35,000 citizens - most of them women - involved in the textile industry. By the early 1900s, the city's global industrial prowess could be seen with Harland & Wolff, the world’s largest shipyard, Ewart & Co., the world’s largest textile firm, York Street Flax Spinning Company, the world’s largest textile mill, and nearby Gallaher’s, the world’s largest cigarette factory. The Belfast Ropeworks was the largest facility of its type in the world; and Belfast-based engineering firms like Sirocco and Mackie’s were global brands. 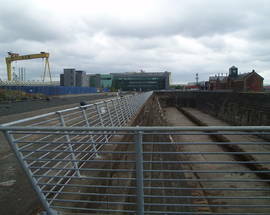 Belfast's earliest quay was on the south bank of the River Farset in what is now High Street. In order to move their goods. city merchants paved the way in building new quays and extending the docks. 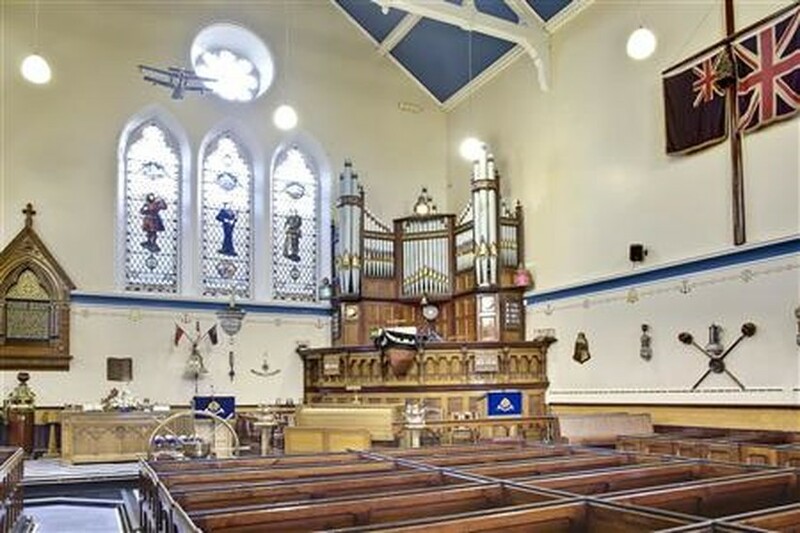 The great merchant families of Victorian Belfast included the Sinclairs, with Sinclair Seamen’s Presbyterian Church named after John Sinclair and financially supported by the family. Names of other leading merchants can be seen on memorials at Alexandra Dock and Thompson Dock (Titanic’s Dock). Belfast-made goods were transported around the world in Belfast-built ships. 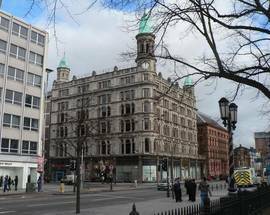 And Robinson & Cleaver department store on Donegall Square became the largest mail order business in the world. Belfast’s position as a global trading city can be seen in many of its historic buildings' architectural features. 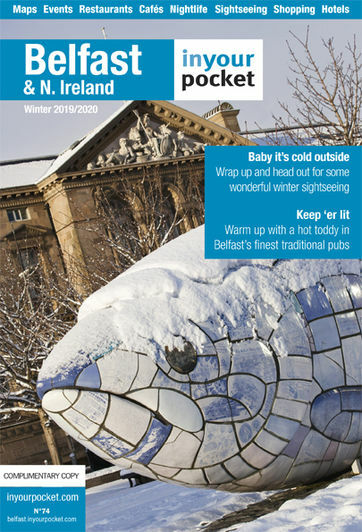 To follow this fascinating journey pick up a free copy of the Belfast Maritime Trail from the Discover Ulster Scots Centre, NI Visitor Information Centres or via www.discoverulsterscots.com.